The "Active Preview" screen updates as you type or change display options. EZSurvey uses otherwise idle CPU cycles to generate and render the HTML. 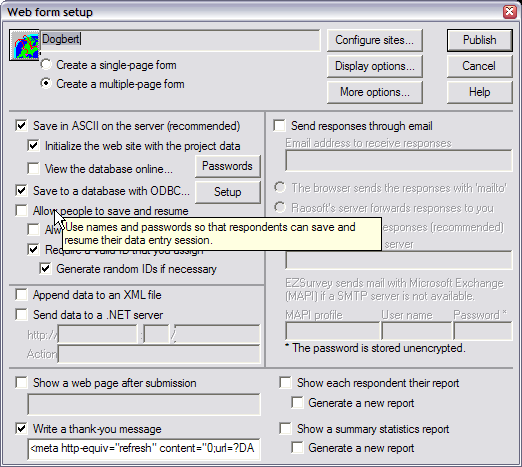 Redesigned web publishing wizard shows several options for saving and retrieving data. You could, for instance, read initial values from an ASCII file on the server, and save the finished submissions to a SQL database. Or you could read login information from a SQL database, and forward submissions to a SOAP server. The most frequently used feature is probably the "save and resume", along with random ID generation. Pseudo-random IDs have a 48-bit minimum address space to discourage hackers. 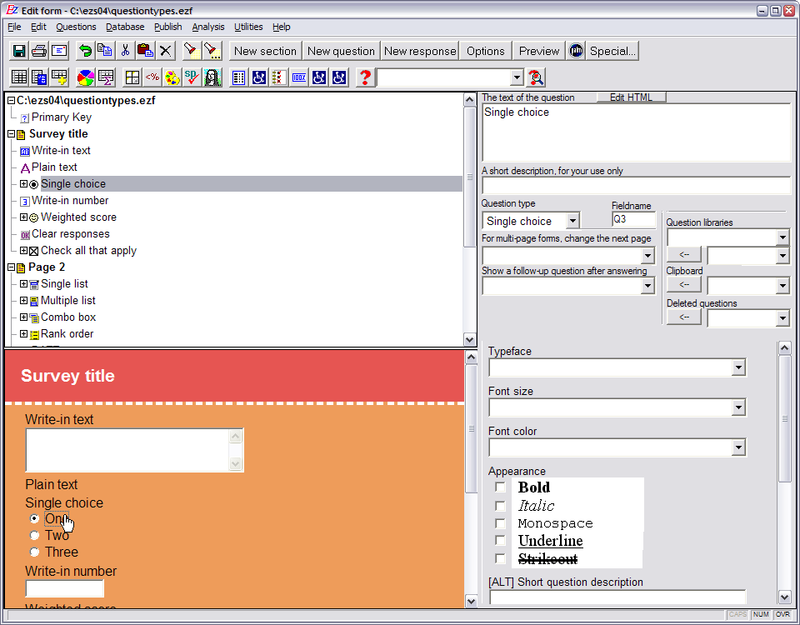 Forms that run on Pocket PCs or laptops (new in this release) store their submissions, then transmit to a central server when they are connected to a network. 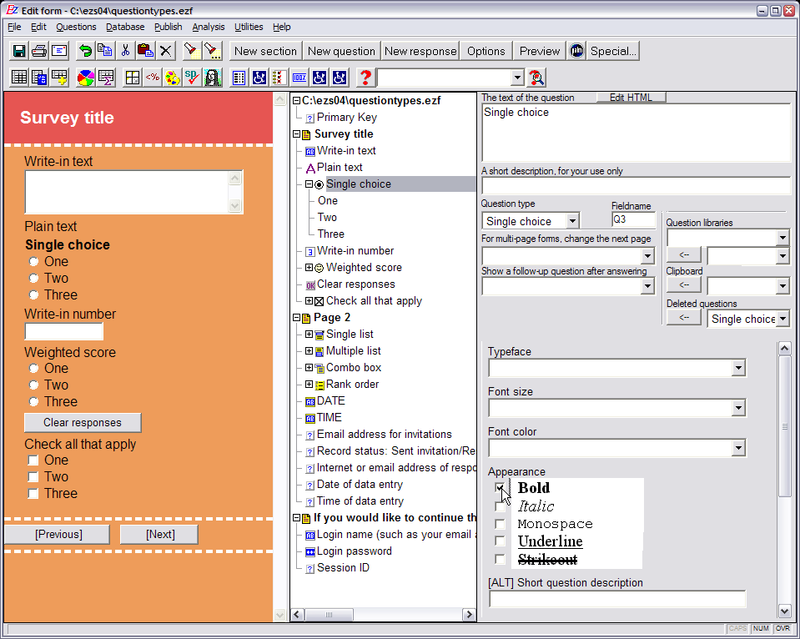 Email is EZSurvey's standard collection method. SOAP is offered for IT integration. We don't know why everyone doesn't do this, but we use the LABEL tag so that you can click on the word instead of just the little circle. 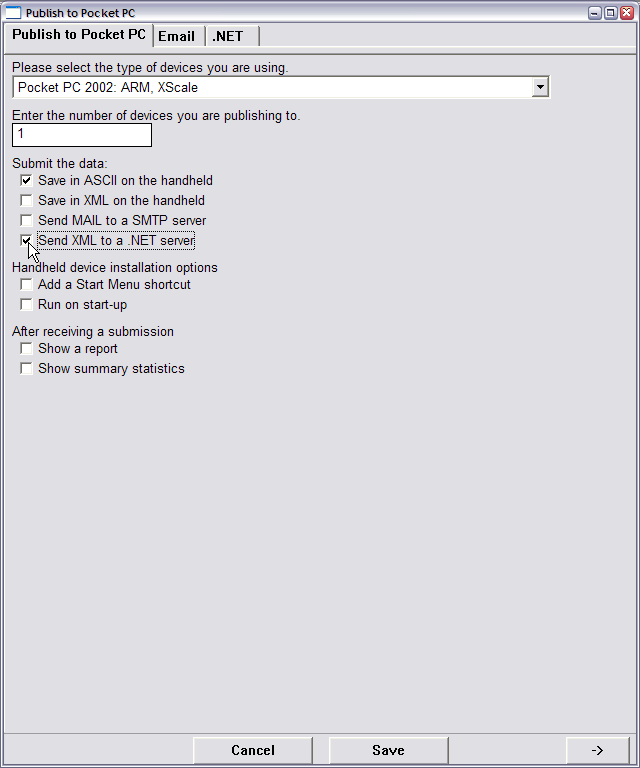 Look for the hand cursor, your hint that there's a clickable data field. Besides complying with Sec. 508(c) of the Rehabilitation Act, it makes web sites much easier to use.